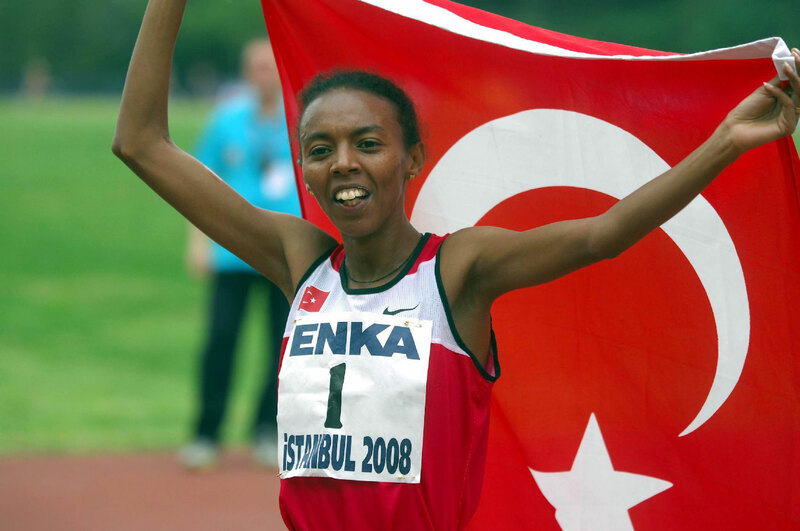 Elvan Abeylegesse stands to lose two Olympic silver medals, and one from the World Championships, after being officially named by the Turkish Athletics Federation as one of the 28 athletes for whom adverse findings were revealed by the International Association of Athletics Federations’ (IAAF) recent re-testing of samples from the 2005 and 2007 World Championships. The 32-year-old naturalised Ethiopian finished second to Tirunesh Dibaba of Ethiopia in the 2007 Osaka World Championships 10,000 metres. If she is sanctioned, that silver would go to original bronze medallist Kara Goucher of the United States, with Great Britain’s Jo Pavey taking possession of the bronze. And if Abbeylegesse loses the Olympic 5,000m and 10,000m silver medals she won at the Beijing 2008 Olympics, both times following home Dibaba, the first would go to Shalane Flanagan of the US and the second to Ethiopia’s Meseret Defar. Kenya’s Linet Masai would then take the bronze medal in the 5,000m, and third place in the 10,000m would go to Sylvia Kibet, also of Kenya. Abbeylegesse’s positive test has been the subject of rumour in the last 48 hours, and Goucher tweeted a picture of her Osaka bronze medal with an accompanying message saying that it could be on its way to Pavey. The Briton did much of the front-running in Osaka before being overtaken in the closing stages, and ended up flat on her back with exhaustion. The question now will be how many more of the 28 athletes, whom the IAAF has not named for legal reasons, will be revealed before the IAAF World Championships – at which none of them will be competing – get underway in Beijing on August 22?